The Los Angeles County Probation Department's administrative offices in Downey. 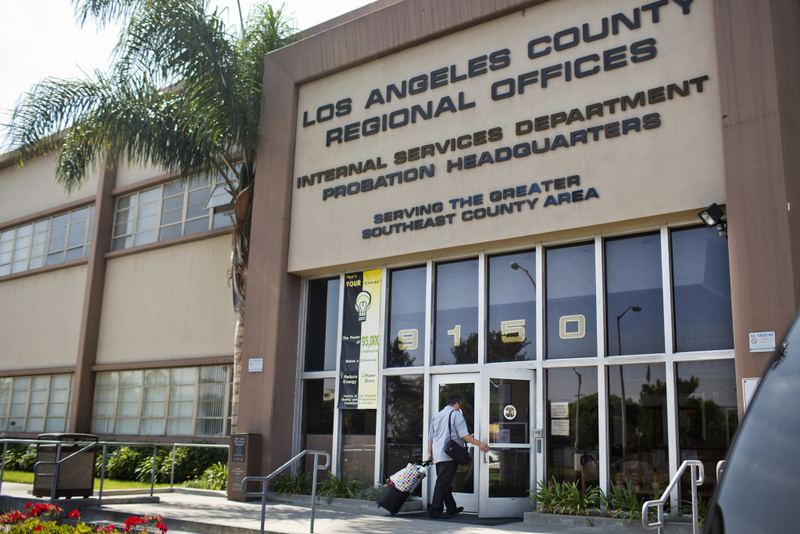 The Los Angeles County Board of Supervisors Tuesday created a civilian commission to monitor the beleaguered probation department. Backers expressed hope that it can help improve the performance of an agency that has been plagued for decades by problems including the physical abuse of kids in juvenile camps, a failure to provide adequate supervision of adults coming out of prison and the mishandling of tens of millions of dollars in state grants. A 15-member panel currently monitors juvenile camps and halls, but it has no staff, is advisory and reports to the chief probation officer. "The new probation oversight commission will be essential to realizing meaningful change," said former juvenile court judge Jan Levine, who sits on the current panel. The new commission will monitor the entire department and report directly to the board of supervisors. Significantly, it will have a staff and be able to ask the county’s inspector general to conduct investigations. 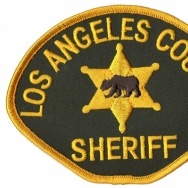 Right now, the inspector general works only with the sheriff’s civilian oversight commission. Chief Probation Officer Terri McDonald, who helped turn around L.A.’s jail system after reports of systemic violence there, endorsed the creation of the panel. "Everything is causing tension," McDonald told the board, referring to reforms already under way. Probation has closed three juvenile camps, added new training for officers and invited families to provide input. "That’s why I welcome oversight – so folks can say, 'You are moving in the right direction or you missed the boat here,'" she said. It will take about six months for supervisors to appoint the new panel and the county’s CEO to hire its staff, so the board also created an interim body consisting of a consultant, outside advocates and probation officials to monitor reforms recommended by numerous independent audits. The new panel will be "much more substantive" than the current panel, said Supervisor Mark Ridley-Thomas. "We owe it to our clients," he said, adding, "probation should be about rehabilitation." A merry-go-round of leadership has compounded the problems at the agency: Over the past decade, it's had five different chief probation officers. L.A.’s probation department is the largest in the country – its nearly 6,000 officers supervise 9,000 children and 47,000 adults. The department plays a dual role. It's the only law enforcement agency that "combines the hammer of the law and the heart of a social worker in order to effect positive behavioral change in a probationer," according to the agency’s website. "It fails at both," said Ingrid Archie, who was once on probation and is now an advocate with A New Way of Life, an organization that helps women in South L.A. She described officers who show up at a probationer’s school or work "like they are going to war," and a department that she maintained does little to help people. Department critics also say supervision of people coming out of prison has been inadequate, pointing to the killing of a Whittier police officer last year by a probationer the department had repeatedly jailed for violations of the terms of his release. 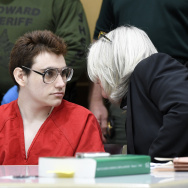 A 500-page study released in February recommended a complete restructuring of the department, including separating the handling of juveniles and adults. The report, by Resource Development Associates, also called for gradually closing all 19 juvenile detention camps and replacing them with smaller facilities that would be more like homes in the communities where kids on probation come from. It also said conditions at Central Juvenile Hall "make it unfit for housing young people and a terrible environment for staff." Because the problems facing probation are so serious, "the stakes are very high," said American Civil Liberties Union attorney Ian Kissel. Commenting on whether this latest reform effort will succeed after so many previous failures, Ridley-Thomas said, "I can only hope so."